While attending Camp Lawton on Mount Lemmon, which borders Tucson, AZ on the northeast, I came across this Short-horned Lizard. 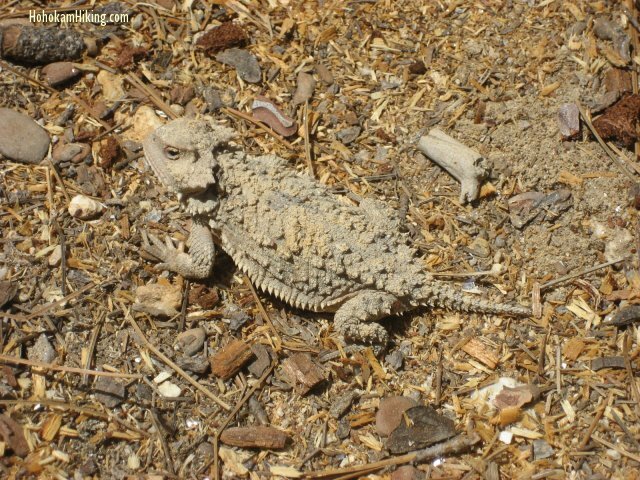 Although commonly (and wrongly) known as the "horned toad", the Short-Horned Lizard is actually a reptile and is common in Arizona and in many of the states that lie on the east side of the Rockies (Montana, Wyoming, Colorado, Utah, New Mexico, and Mexico). This was actually my first sighting of a "Horned Toad" in the wild so I was pretty excited to see it. 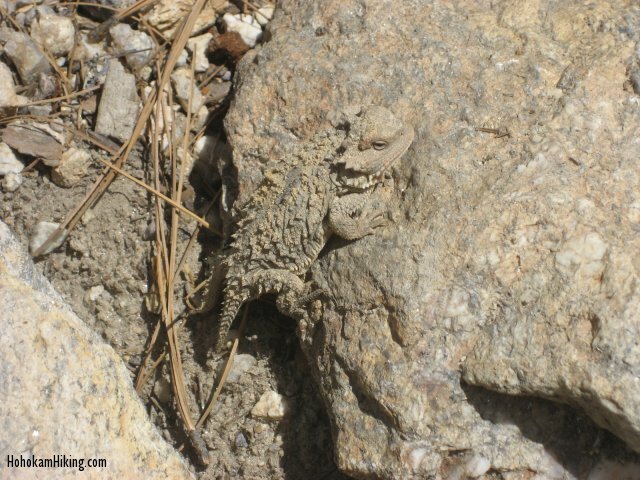 In the picture above you'll notice how well the Short-Horned Lizard blends into the rock. It can be distinguished from the Regal Horned Lizard since it doesn't have 4 longer horns directly on the back of its head. The Short-Horned Lizard feeds primarily on ants, but also eats grasshoppers and beetles. It is a fairly slow lizard, and relies on its camoflage to protect it from predators. They are mainly active during the daytime and burrow at night.